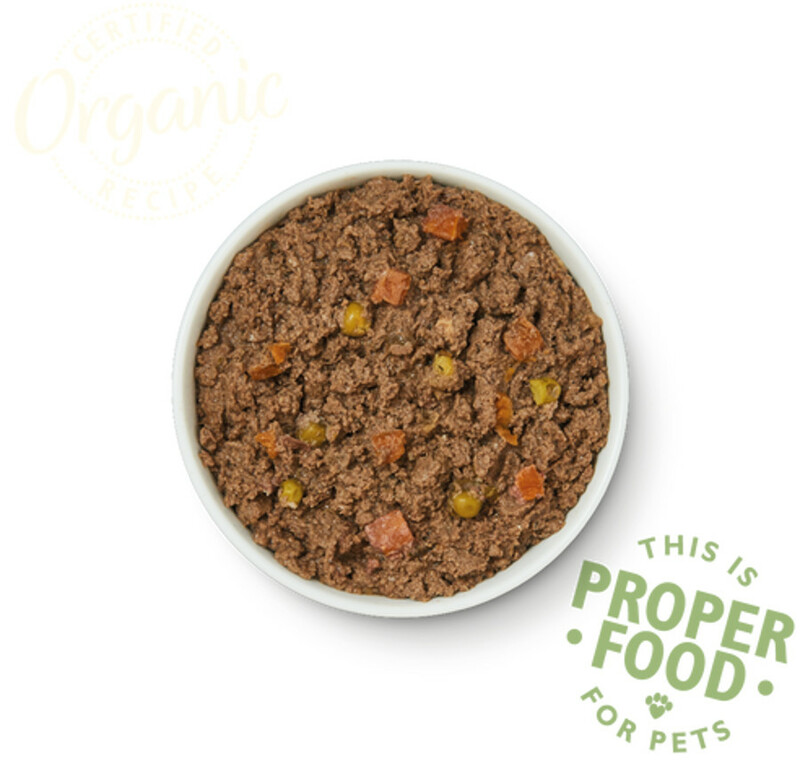 Nutritionally complete certified organic wet dog food made with natural ingredients including freshly prepared lamb, beef, pork and chicken along with carrots, peas and botanical herbs. The lamb supper for dogs is made in the EU without artificial or GM ingredients, wheat, corn, soya or rendered animal parts. Suitable for adult & senior dogs. Trace elements (per kg):Zinc Chelate of Amino Acids Hydrate 34mg, Cupric Chelate of Amino Acids Hydrate 2mg, Manganous Chelate of Amino Acids Hydrate 1.6mg, Calcium Iodate Anhydrous 0.47mg. Produced from 100% Controlled Organic Farming Freshly Prepared: Organic Lamb 26%, Organic Pork 13%, Organic Beef 10%, Organic Chicken 5%. Organic Vegetables 5% (Organic Carrots and Organic Peas), Organic Spelt, Vitamins and Chelated Minerals, Organic Alfalfa, Organic Cleavers, Organic Kelp, Organic Spirulina. 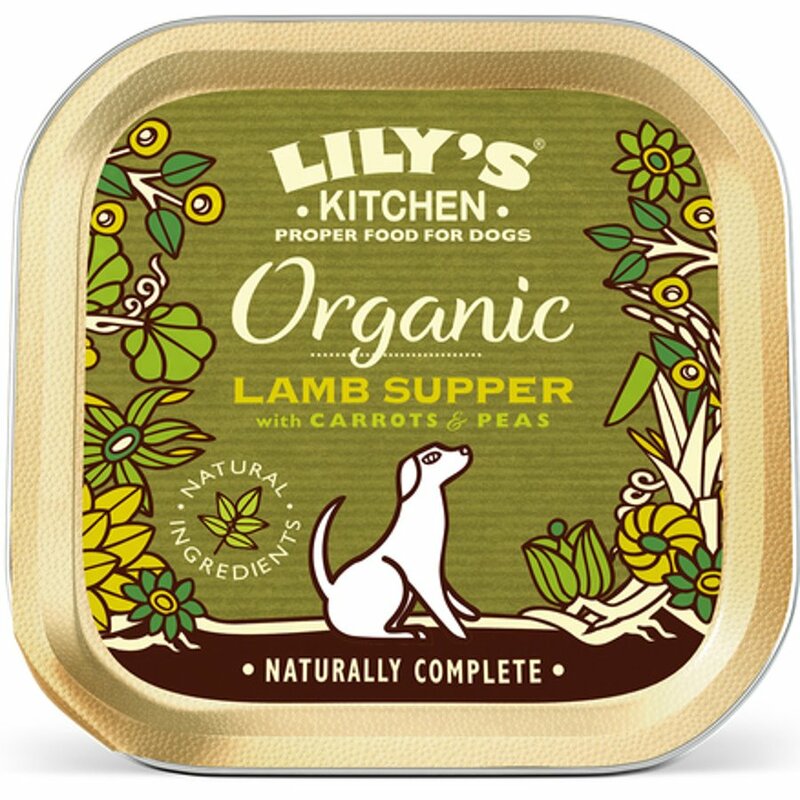 The Lily's Kitchen Organic Lamb Supper For Dogs - 150g product ethics are indicated below. To learn more about these product ethics and to see related products, follow the links below. 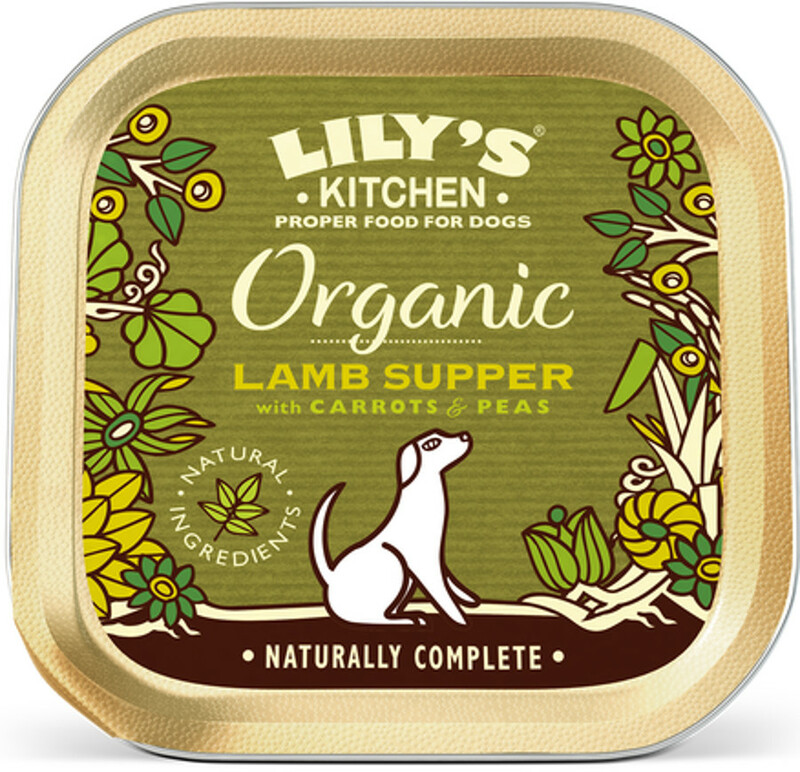 There are currently no questions to display about Lily's Kitchen Organic Lamb Supper For Dogs - 150g. 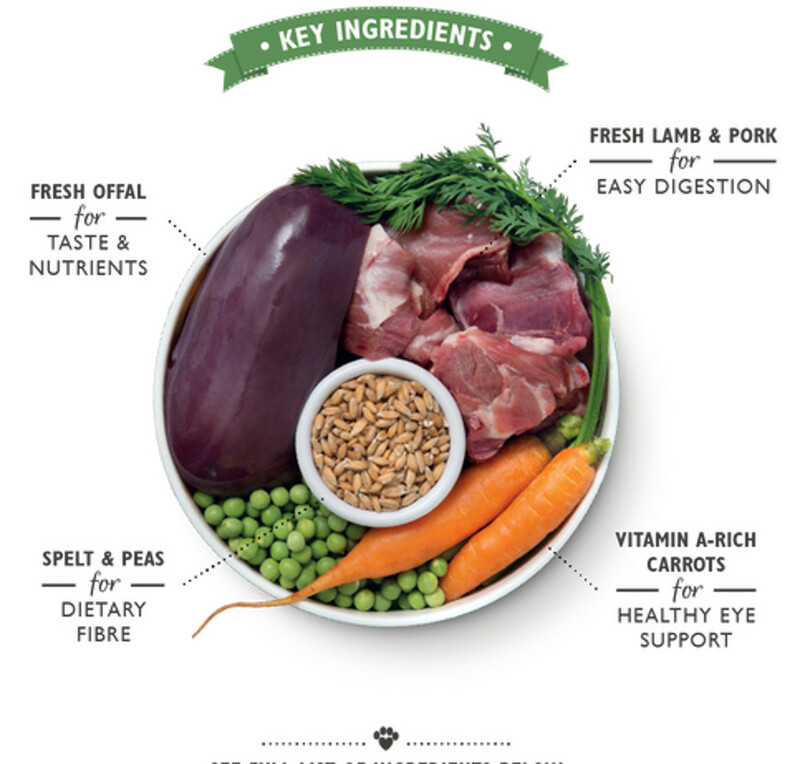 Lily’s Kitchen believe that our pets should be eating proper food. 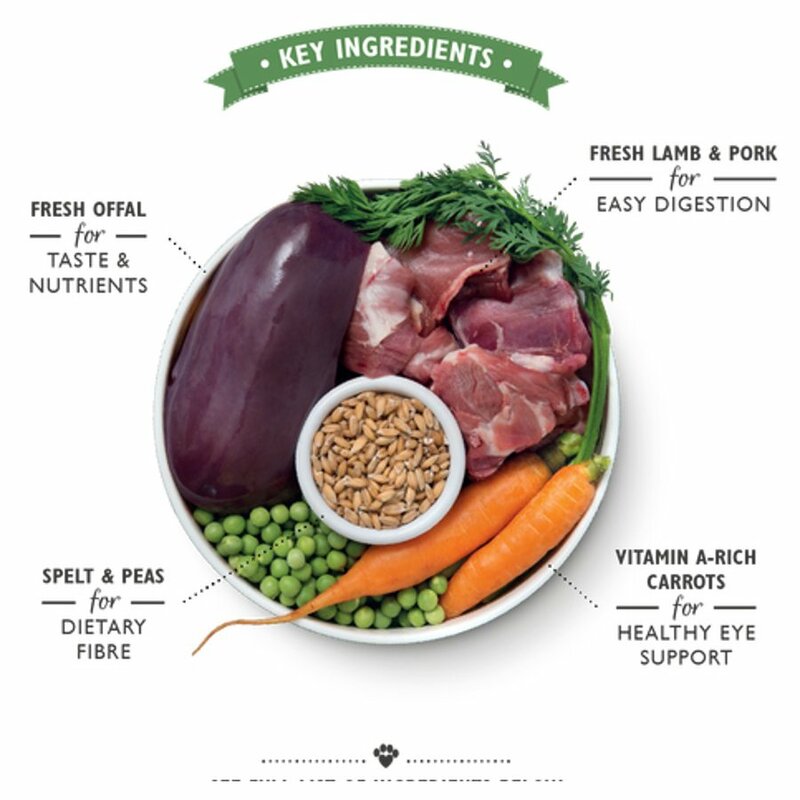 They use top quality meat, organic fruit and vegetables and heaps of herbs and 100% natural flavours to make tasty recipes that really do taste and smell delicious resulting in many benefits for your pet's health. Free from additives, preservatives, fillers and by-products, Lily’s Kitchen likes to be totally honest and transparent, so each ingredient is fully listed on their product labelling. 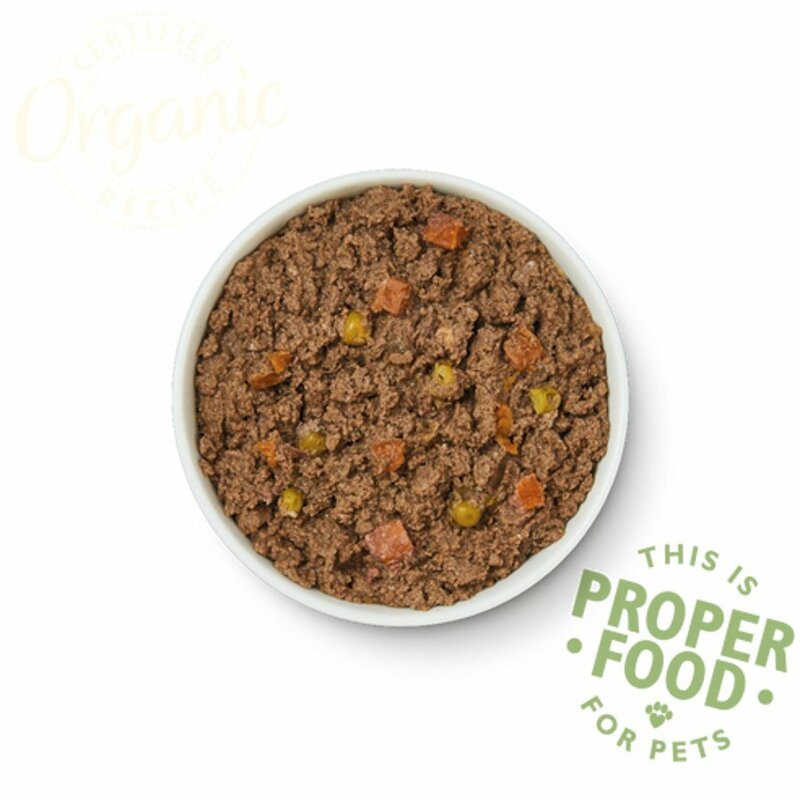 This means you are absolutely guaranteed that their tasty pet foods contain great quality ingredients, and not the kind of left-overs that are often found in pet food. All their recipes are monitored by their team of nutritionists, cooks and vets, and tried and approved by cats and dogs around the country. Lily's Kitchen have also been thoroughly audited by the Ethical Good Shopping Guide and for the last four years have been recognised as the UK's Most Ethical Pet Food Company. They are also members of PETA, and completely against any invasive animal testing.